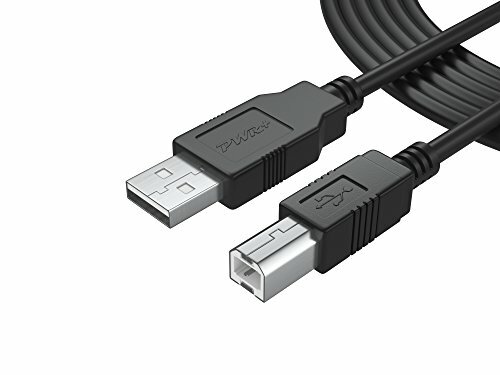 Pwr 25Ft Extra Long USB-Printer-Cable 2.0 for HP OfficeJet LaserJet Envy; Canon Pixma; Epson Workforce, Stylus, Expression Home; Brother; Silhouette Cameo; Dell Scanner Fax High Speed Cord (7.2 m) by PWR+ at Andy Pemberton. MPN: 262-PWR59-83153. Hurry! Limited time offer. Offer valid only while supplies last. PWR+: Powering Millions of Laptops, Tablets and Electronic Gadgets and a go-to brand for premium replacement chargers and accessories since 2007.